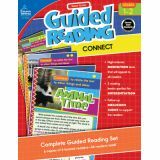 A perfect addition to your language arts lesson plan, Guided Reading: Connect for first and second grades includes six sets of readers for students reading below-level, on-level, and above-average levels. 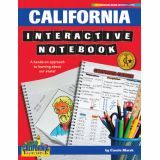 The bold images and maps appeal to students as they learn about topics such as nocturnal animals, inventors, and more. The readers are separated into three readability levels and designed to keep students' attention. Call-out boxes direct students to apply guided reading strategies to the texts, such as scanning for meaning or word work. Each reader concludes with a writing prompt. 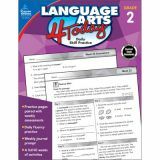 With this 100+ Series(TM) Grammar book, students will learn the basics needed for writing and speaking correctly. 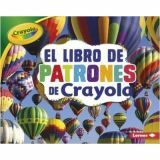 Each page presents an important grammar rule, followed by practical exercises. 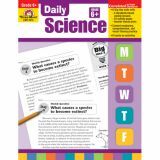 Grammar themes may be repeated across several pages, which gives students a chance to practice and reinforce new skills and concepts. 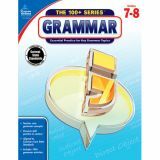 The book for grades 7–8 covers sentence structure, modifiers, verbals, mood and voice, and much more.The 100+ Series(TM) Grammar series for grades 1 to 8 supports language and literacy fluency. 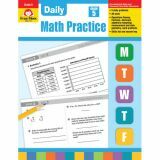 Each book offers systematic practice and use of basic grammar skills at grade level. 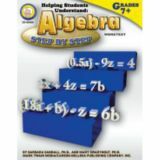 The books are aligned to the Common Core State Standards. 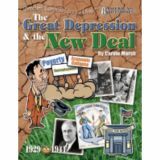 Presentation of skills is reinforced with practical application by requiring students to apply new learning while writing and editing texts Each book includes reproducible content to help students reinforce essential grammar skills. The sound of a child reading is like music to a parent's ears—so get your child on the right track with Spectrum® Word Study and Phonics for grade 5! 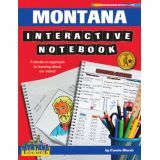 This best-selling language arts workbook uses progressive lessons, strategies, and practice to help children understand word formations and meanings. Understanding letter sounds and word formation is an essential piece to the reading proficiency puzzle. 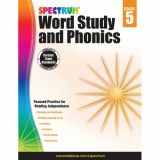 Spectrum Word Study and Phonics for grade 5 guides children through acronyms, analogies, word families, multiple-meaning words, and more. 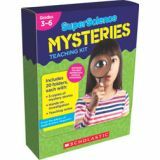 Filled with engaging exercises in a progressive format, this series provides an effective way to reinforce early language arts skills.